The four newly appointed officials at MINRESI were installed to their new duty posts by the Secretary General of MINRESI on 12 August 2016. Two of them; Manguélé Blanche Miriam, former Human Resource Management and Training Department Head, to replace Mrs. Edou, née Menguele Irène, assigned to other duties. The challenges of this new way of developing countries were the focus of a training and sensitization workshop held on 11 August 2016 at MINRESI chaired by the Secretary General on behalf of the Minister of Scientific Research and Innovation. This meeting brought together learners from several ministries and institutions under the supervision of MINRESI. In her speech, Mrs. Rebecca Madeleine Ebellé Etamè, called on the attendants to know the new sources of innovation which are databases, the Internet and the mastery of certain software, for MINRESI to constantly adapt to new evolving standards. Mr. Ntonga Bidje Nestor, Inspector of Financial Authorities, was installed on Thursday 11 July 2016 at MINRESI during an official ceremony presided over by the representative of the Minister of Finance, Mr. Dairou Djidda, Head of Division of Budgetary Control, Audit and Quality of Expenditure at the Ministry of Finance, in the presence of Mr. Mansourou, Deputy Director of Budget, Equipment and Maintenance at MINRESI, representing the Minister of Scientific Research and Innovation. The ceremony had the following points on its agenda: Welcome speech by the representative of MINRESI, reading of the appointment decision, installation speech by the representative of MINFI, signing of documents, presentation of attributes, handover and installation proper. 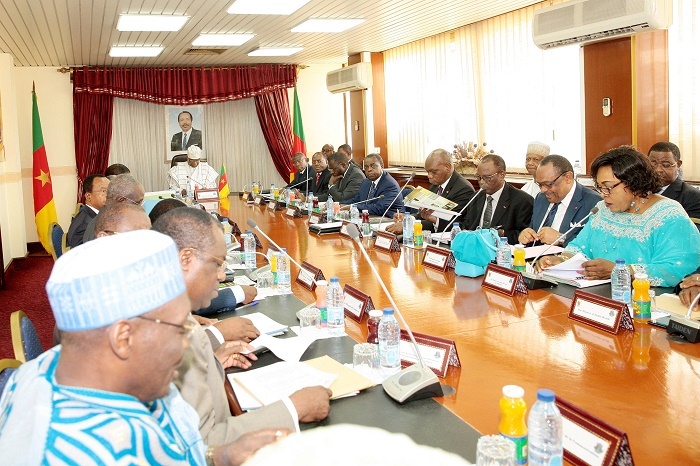 Top of the agenda of the Cabinet Meeting of 28 July 2016 chaired by Prime Minister, Head of Government, was the presentation of the Minister of Scientific Research and Innovation on the achievements and challenges of Innovation in Cameroon. This communication enabled Dr. Madeleine Tchuinté to make an inventory of the acquired national research and innovation system on the institutional, scientific and technological policies; all what contributes to the use and dissemination of research and innovation results. During his stay in Cameroon to establish the Strategic Framework for Food Security and Nutrition, Dr. Amos Namanga Ngongi, World Food programme expert discussed with the Minister of Scientific Research and Innovation on the opportunities to strengthen the extension system of the results of agricultural research in Cameroon. "MIPROMALO is a State research and innovation structure playing a leading role in the production of scientific knowledge and technological innovations on local materials to meet the demands of our people in search of a better life as well as our more efficient and competitive industry." 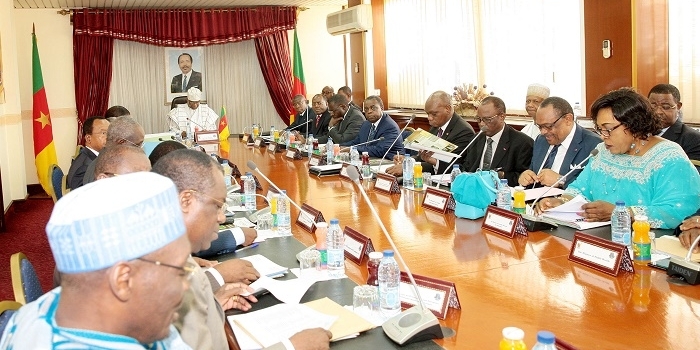 The Secretary General of MINRESI received this Monday, 8 July 2016, Philemon Ntyam and Gilbert Band, Chairman of the Board of Directors of the project to establish the Development Mission of the Equatorial Region (MIDREQ) and President of the Canada-Cameroon Chamber of Commerce based in Canada, respectively. MINRESI's guests are promoters of an implementation project of a hub simulated from the Canadian model found in Nkoemnvone in the South region.